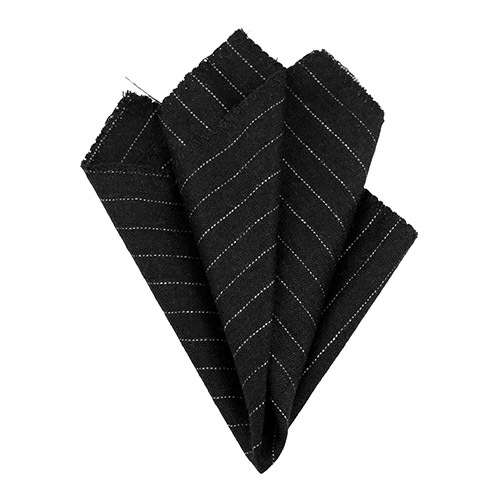 Black pinstriped handkerchief in 100% woven wool. Colors: Black with white pinstripes. Measurements pocket square: 25 x 25 cm (9.8 x 9.8"). An elegant pocket square is a great accent to your jacket. This dark, pinstriped square in wool with be a perfect adornment to a lighter colored jacket.